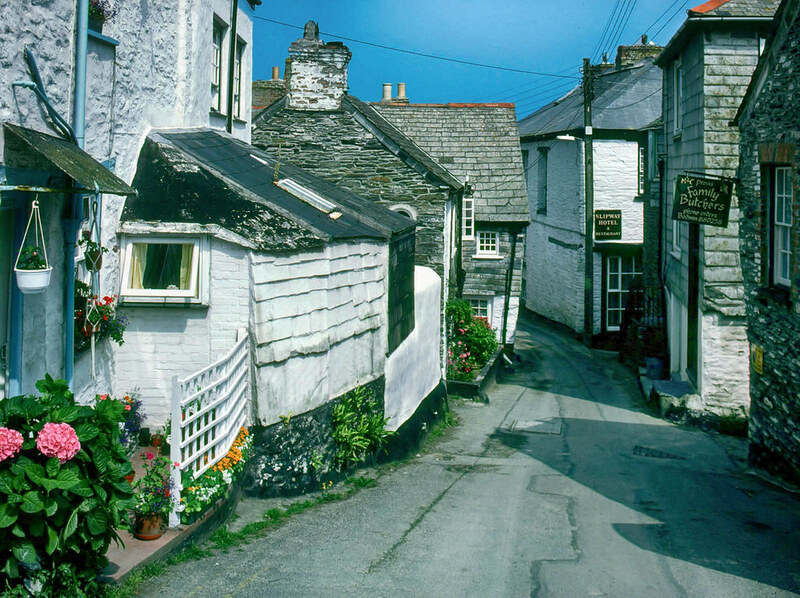 Cornwall’s traditional fishing villages are full of narrow streets, passageways, and delightful little nooks and crannies. 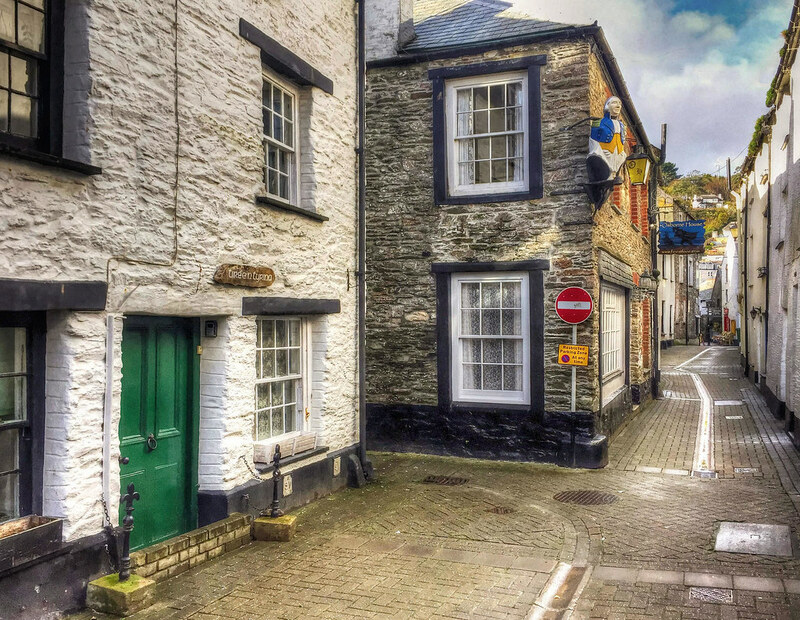 If you’ve ever watched the popular TV sitcom “Doc Martin”, you’ll have seen Dr Martin Ellingham struggling to squeeze his Lexus down the narrow streets of Port Isaac, otherwise known as “Portwenn”. 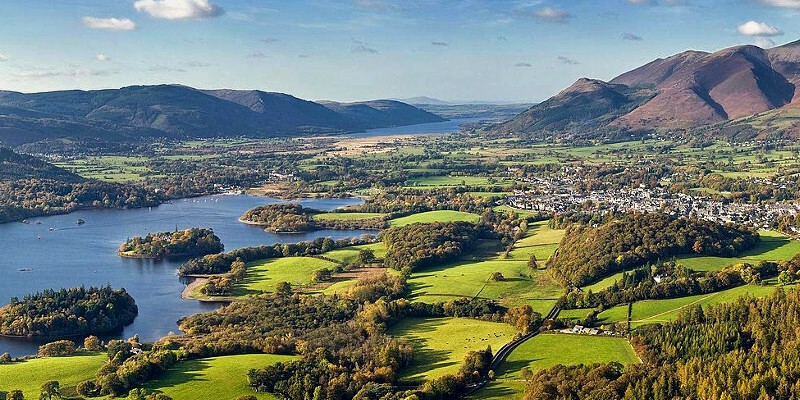 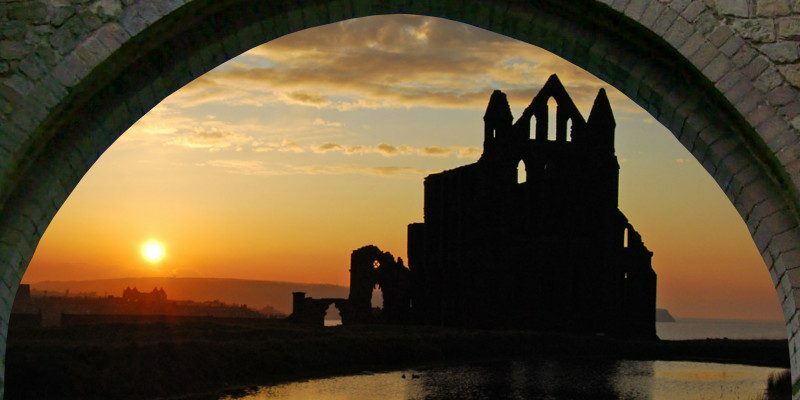 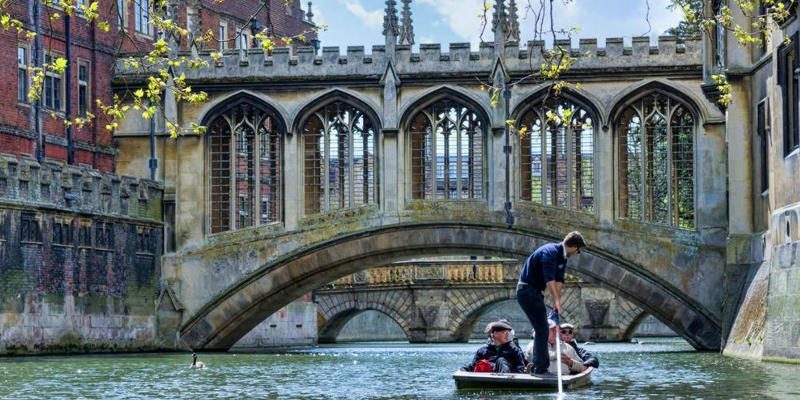 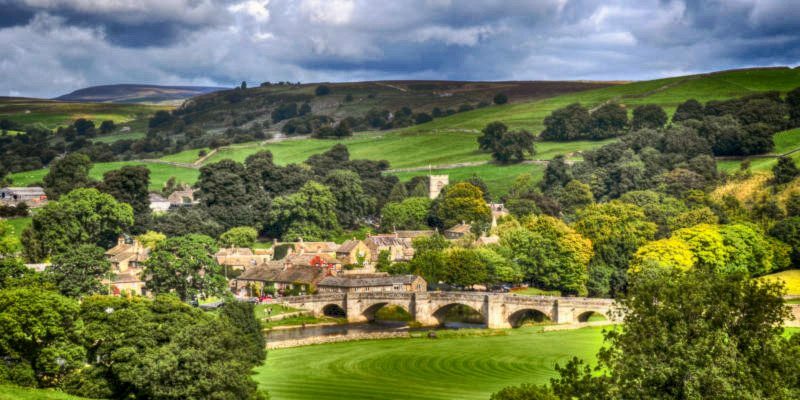 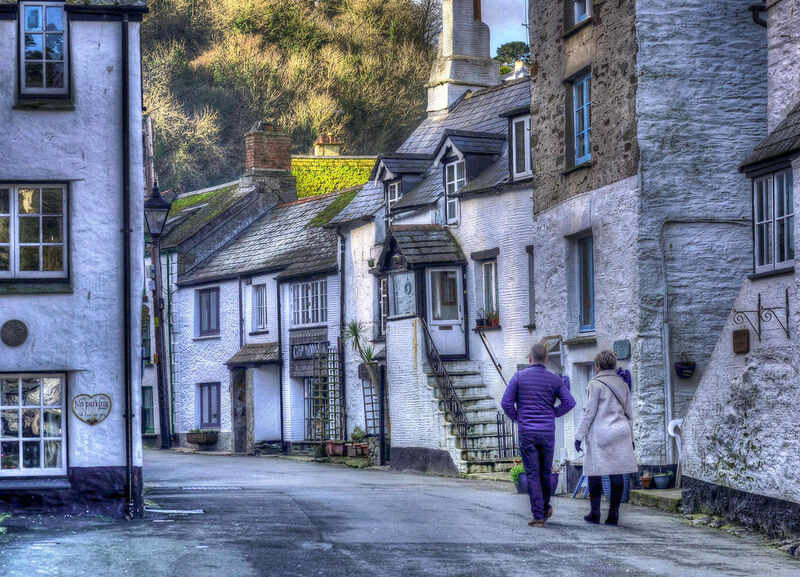 Lined with whitewashed cottages, or pastel shades like yellow ochre, the picturesque village dates back to the time of Henry VIII, although its centre is mostly from the 18th and 19th century when its prosperity depended on the shipping and fishing trades. 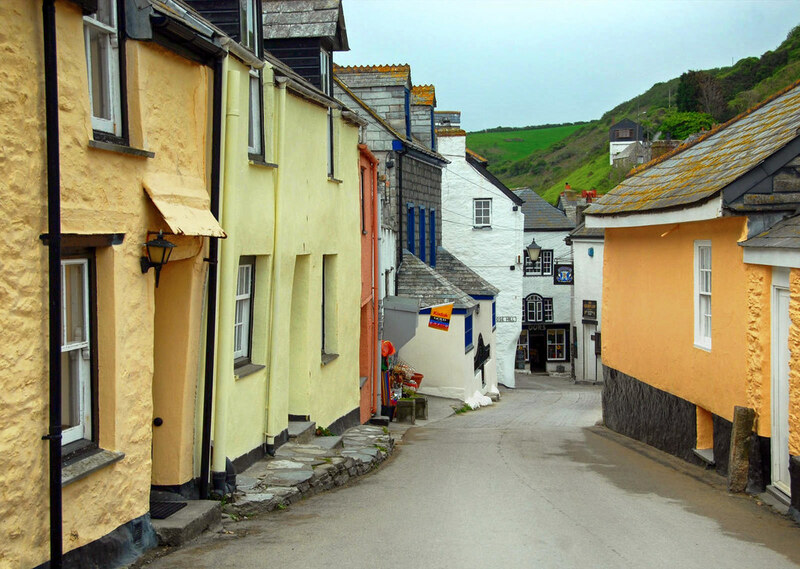 Meaning “corn port”, Port Isaac initially served the trade in corn grown on the surrounding arable lands. 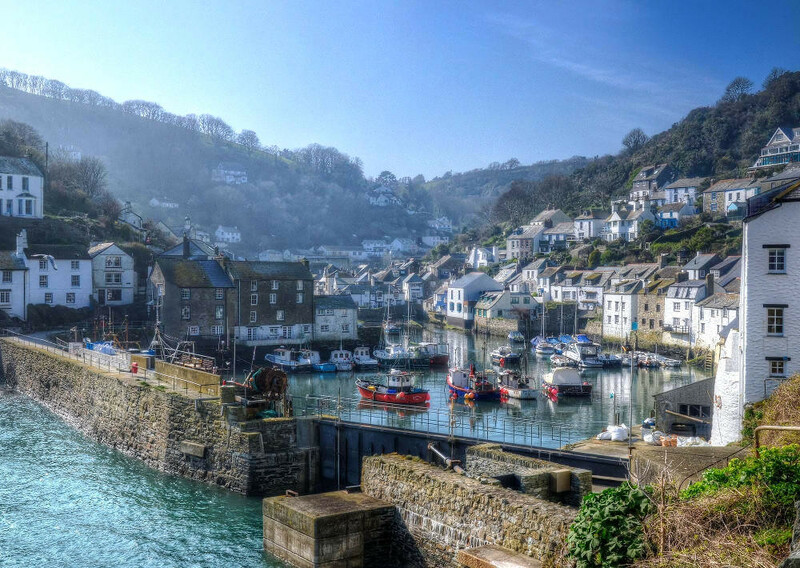 Later, cargoes of coal, wood, stone, and pottery were hauled along its narrow streets to the harbour, then shipped out to sea for export. 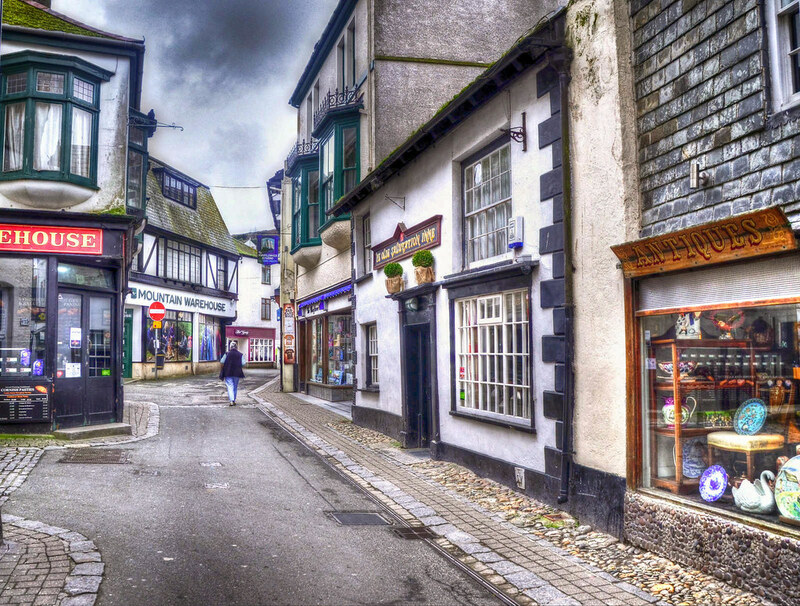 “Fore Street” is a name often used in the south west of England to mean the main street of a town or village. 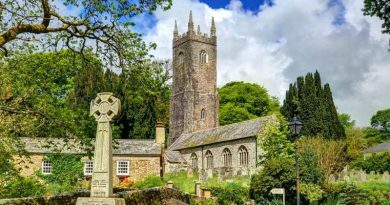 Derived from the Cornish word “Forth”, meaning “Street”, and corrupted to “Fore” in English, there are over seventy examples in Cornwall alone. 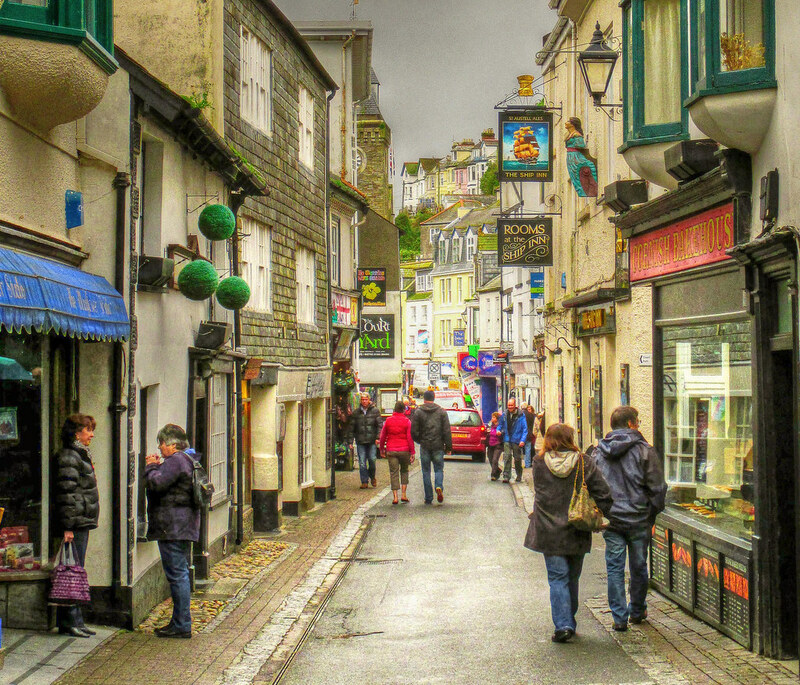 English colonists from Cornwall are thought to have named Fore Street in Portland, Maine, in the United States. 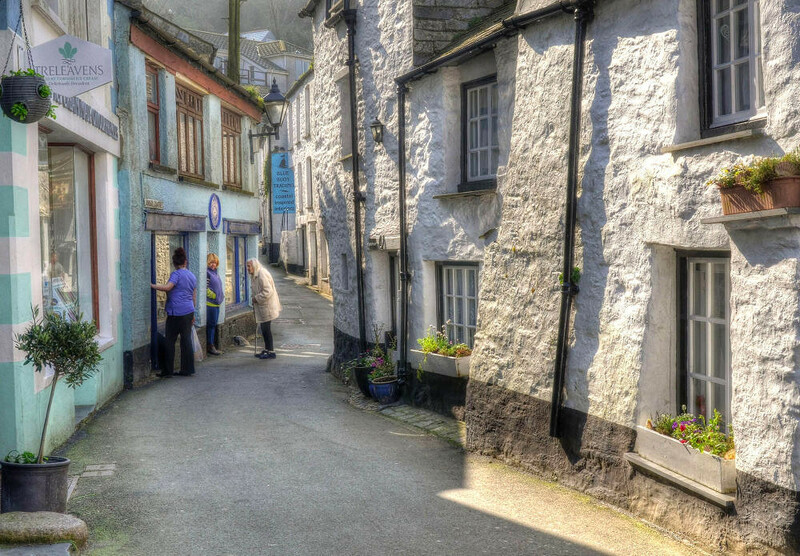 Click here to pan and zoom Google's Street View of Port Isaac's Fore Street. 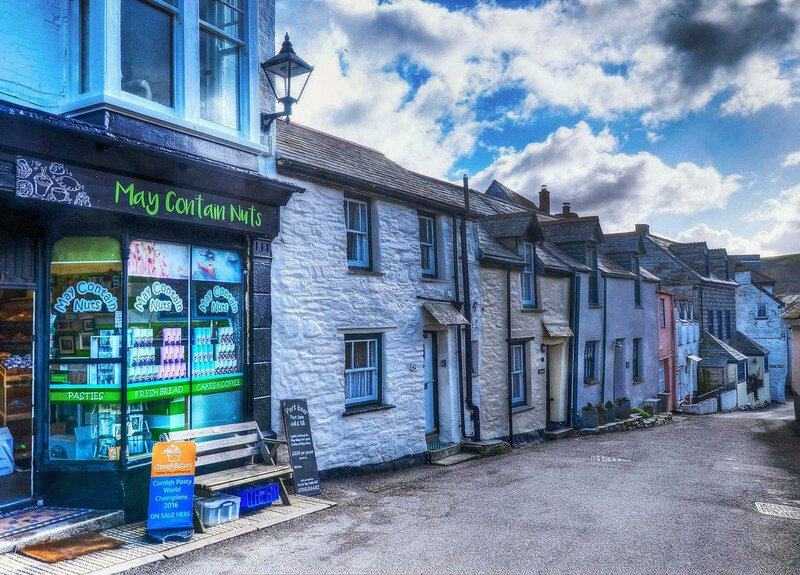 Stroll the meandering narrow streets and you’ll pass traditional family-run butchers shops, tucked-away seafood restaurants, and confectionary shops with Cornwall’s famous fudge made from local cream. 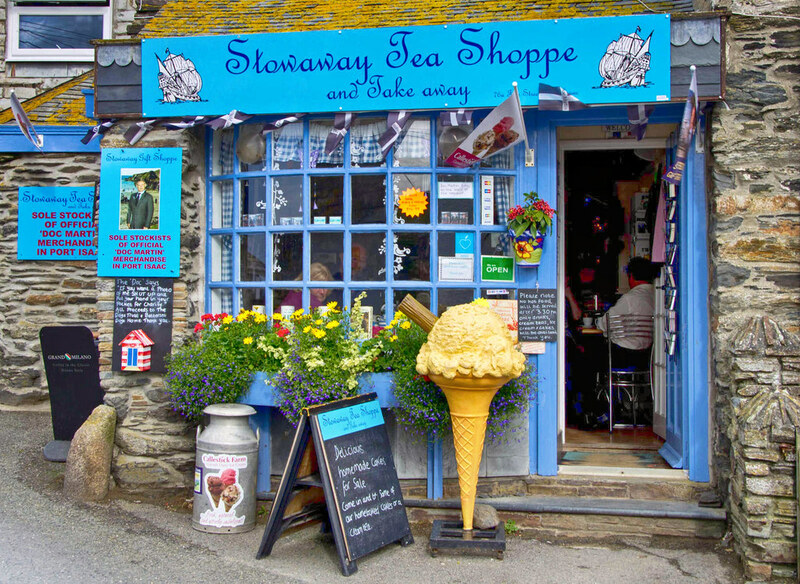 Become a stowaway at the Stowaway Tea Shoppe where they also sell delicious Cornish ice cream that some say is the world’s best. 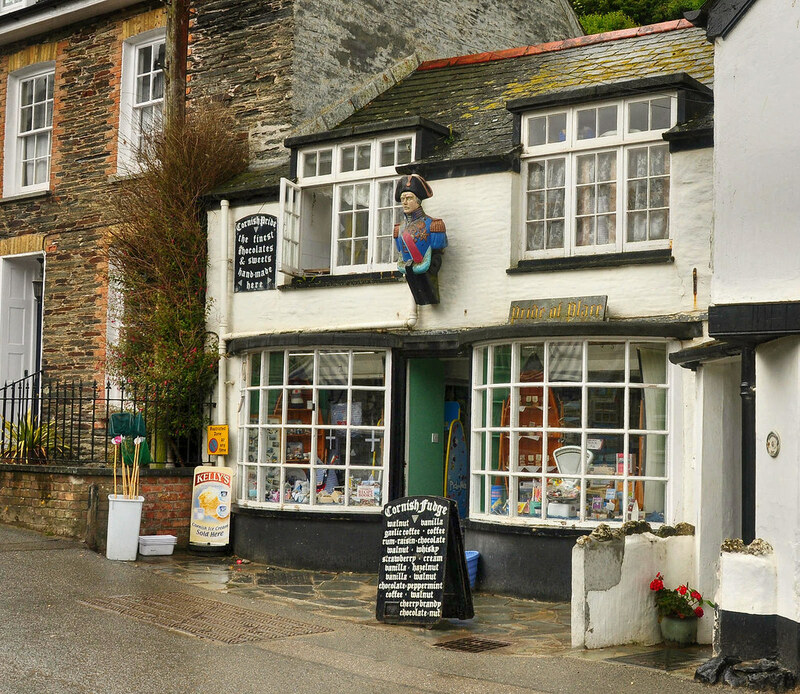 And no trip to Port Isaac is complete without a visit to the Doctor—that’s Doc Martin, naturally. 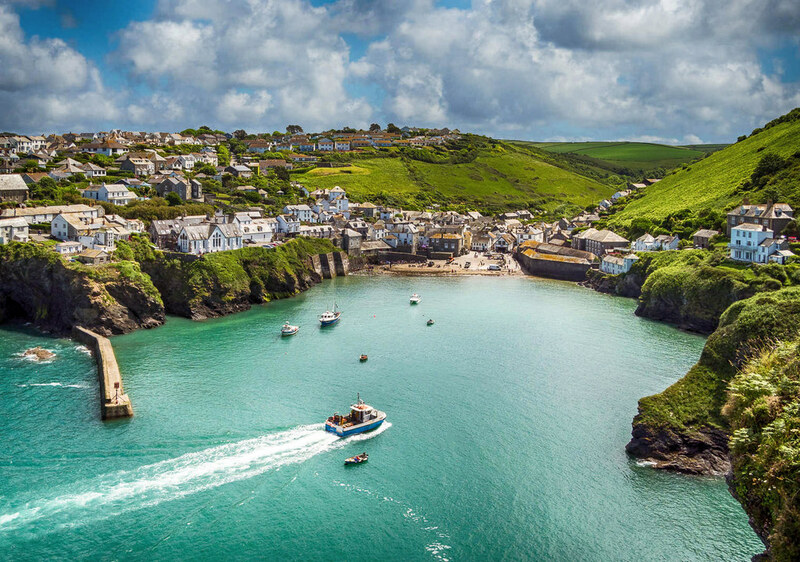 Famous for the film location of ITV’s Doc Martin comedy-drama series, Port Isaac also played host to the original 1970s version of the BBC’s Poldark series. 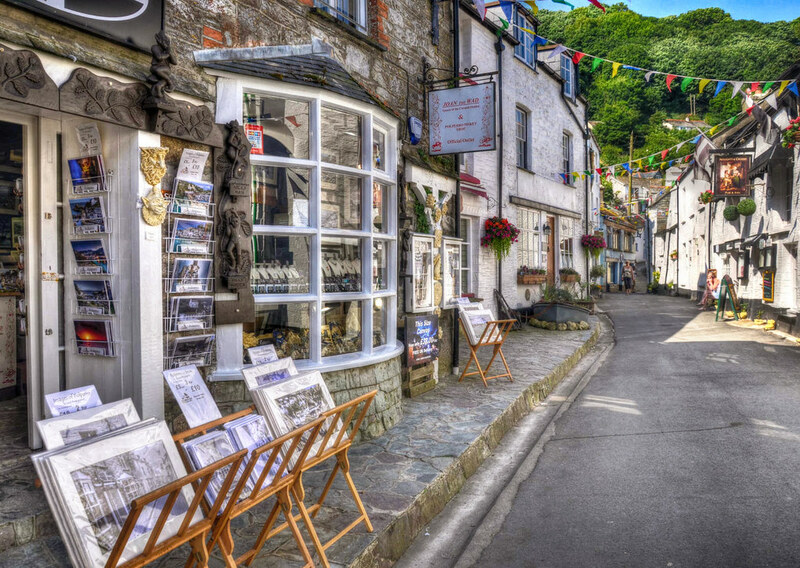 Another delightful Cornish village lined with narrow streets is Polperro. 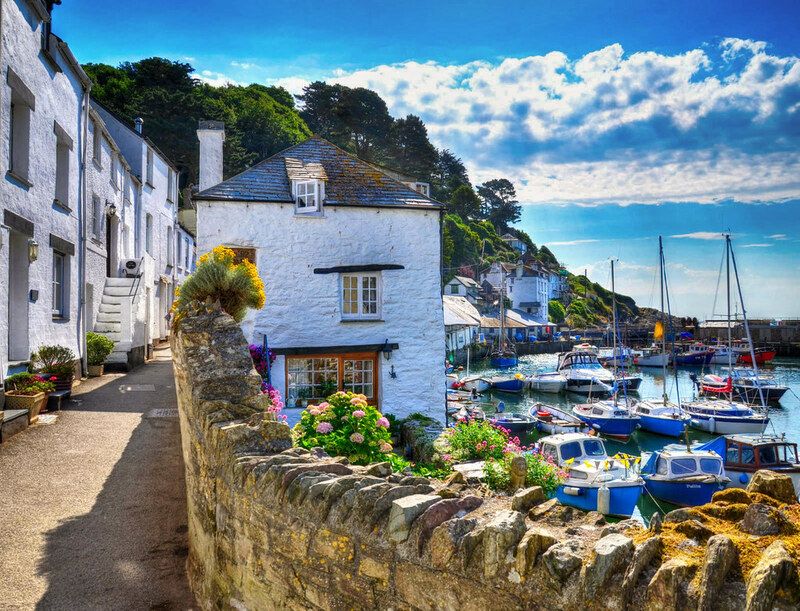 Meaning “Pyra’s Cove” in the Cornish language, Polperro’s tightly-packed fishermen’s cottages, quaint harbour, and beautiful coastline make it a popular tourist destination in summer months. 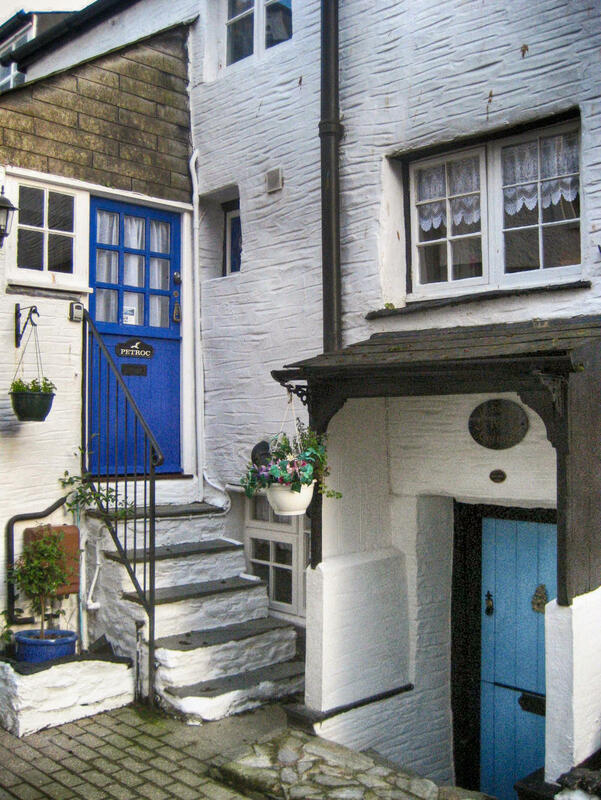 Dating from the 1700s, a typical old fisherman’s cottage featured a fishing net store on the ground floor with steps leading up to the living accommodation above. 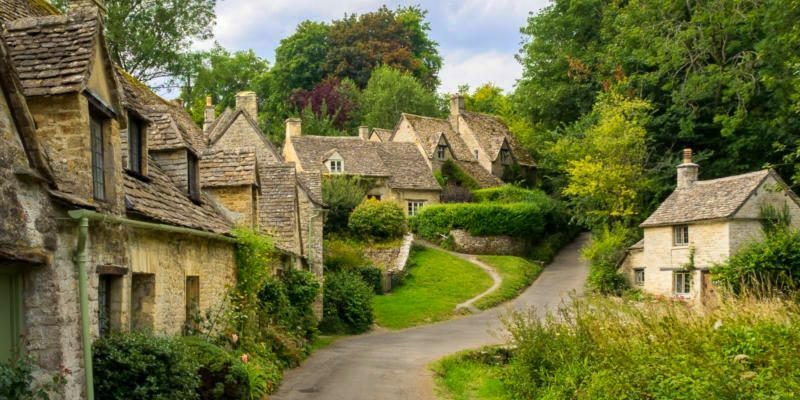 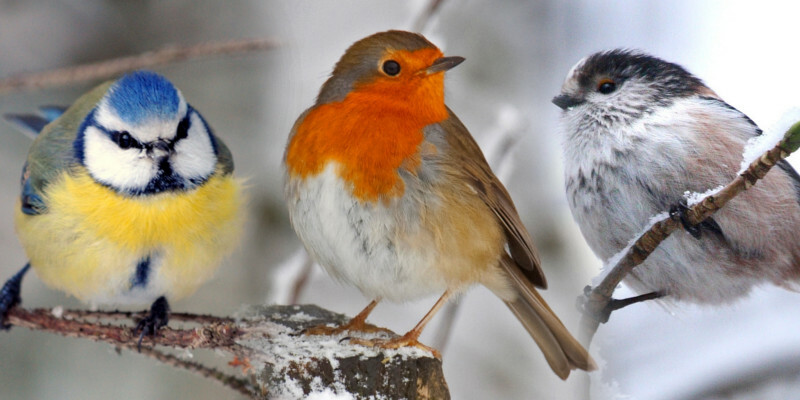 Off-season, when there’s little to no traffic, the locals can have a good old chinwag about the weather in peace. 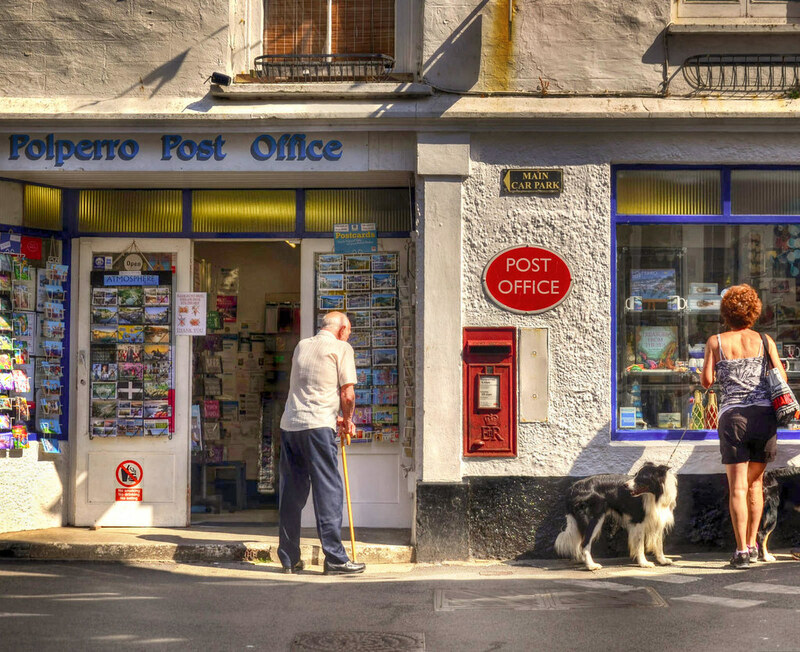 Don’t forget to buy some postcards and postage stamps at the village Post Office! 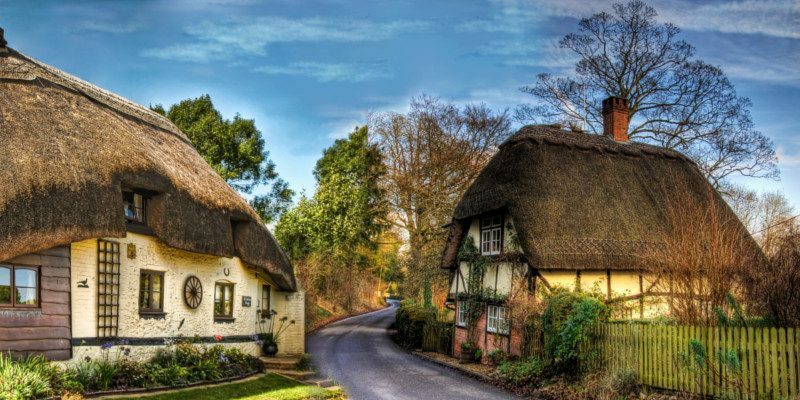 Fast disappearing, these icons of the British way of life can still be found in many seaside towns and villages. 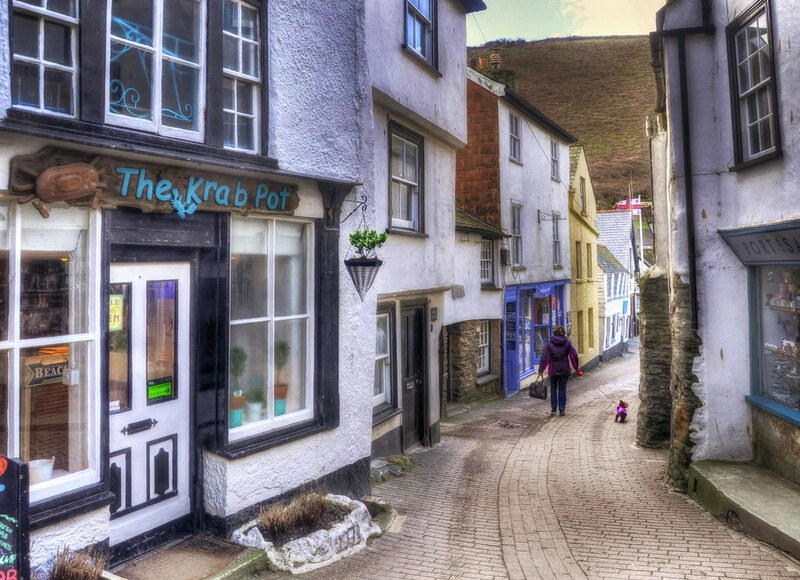 Lined with holiday cottages, the “Warren” is a narrow street providing perfect walks along the harbour front. 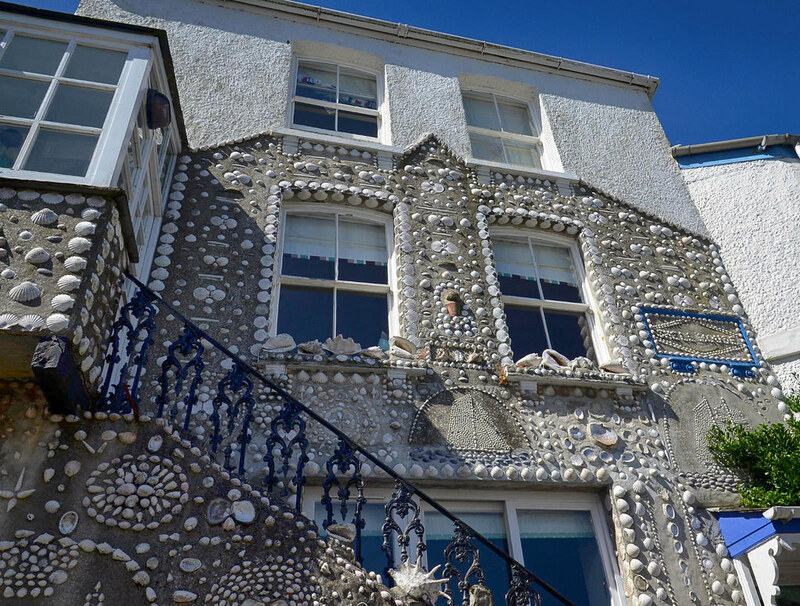 Tucked away in The Warren is a house covered in seashells called “The Shell House”. 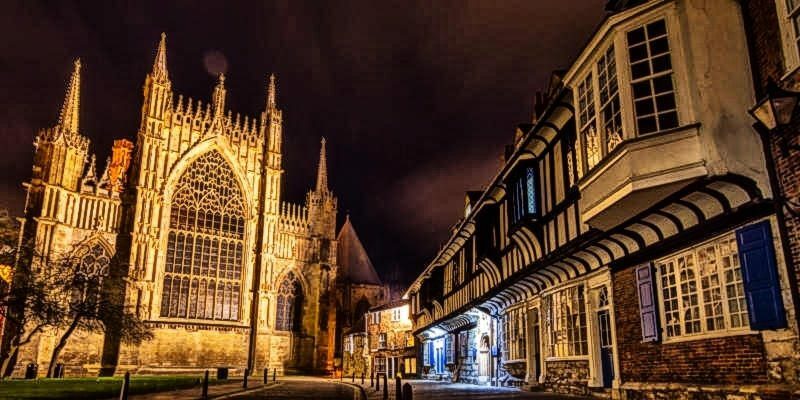 And if you like quirky buildings, why not visit “The House on the Props” restaurant and tearooms which also offers Bed and Breakfast accommodations. 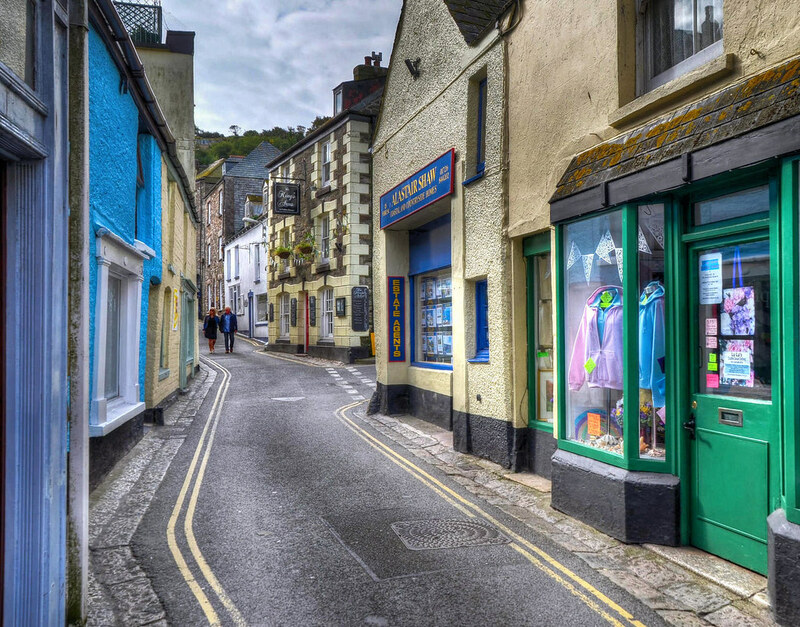 Leading up the hill from the harbour is Lansallos Street which is filled with quaint shops, pubs, and art galleries. 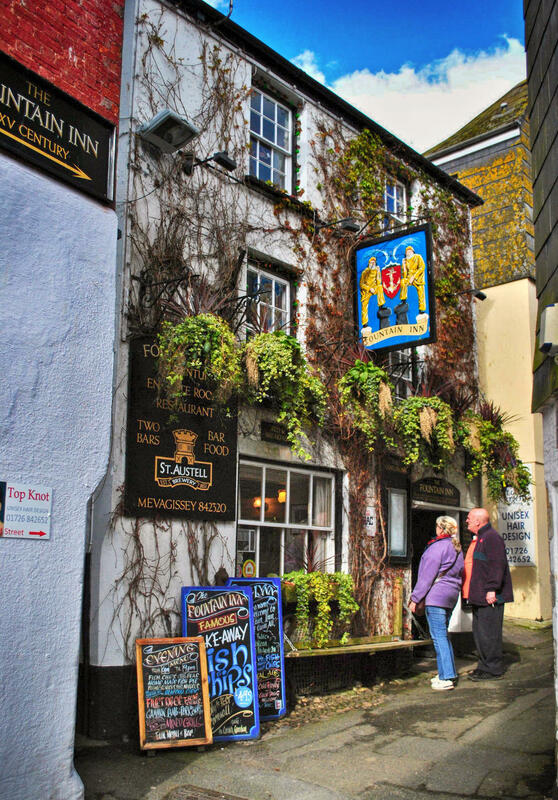 Formerly a family bakery dating from the 16th century, the Noughts and Crosses Inn is named after how the owner kept account of who had paid and who hadn’t by using a series of noughts and crosses. 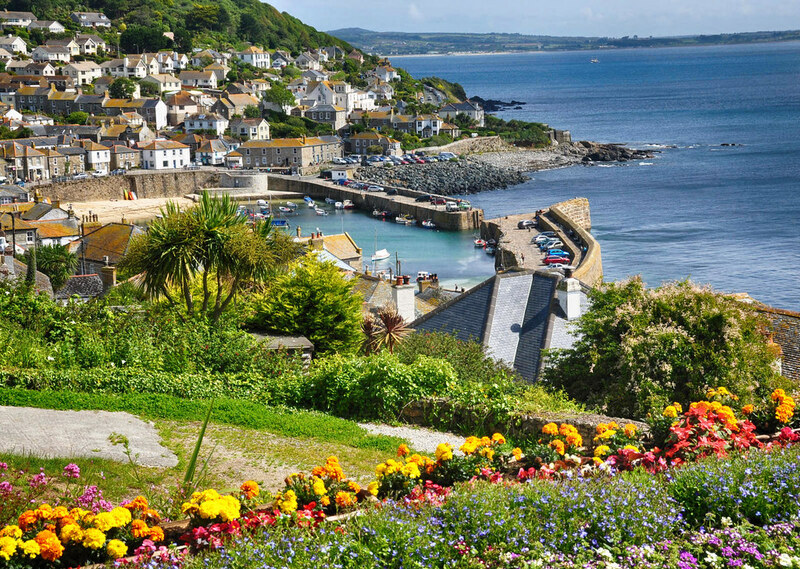 Quaintly named, the little fishing village of Mousehole (pronounced “Mowzle”) is laced with a maze of narrow streets. 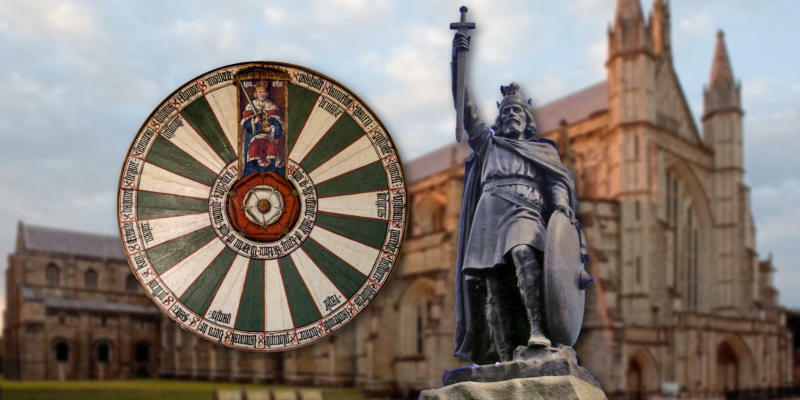 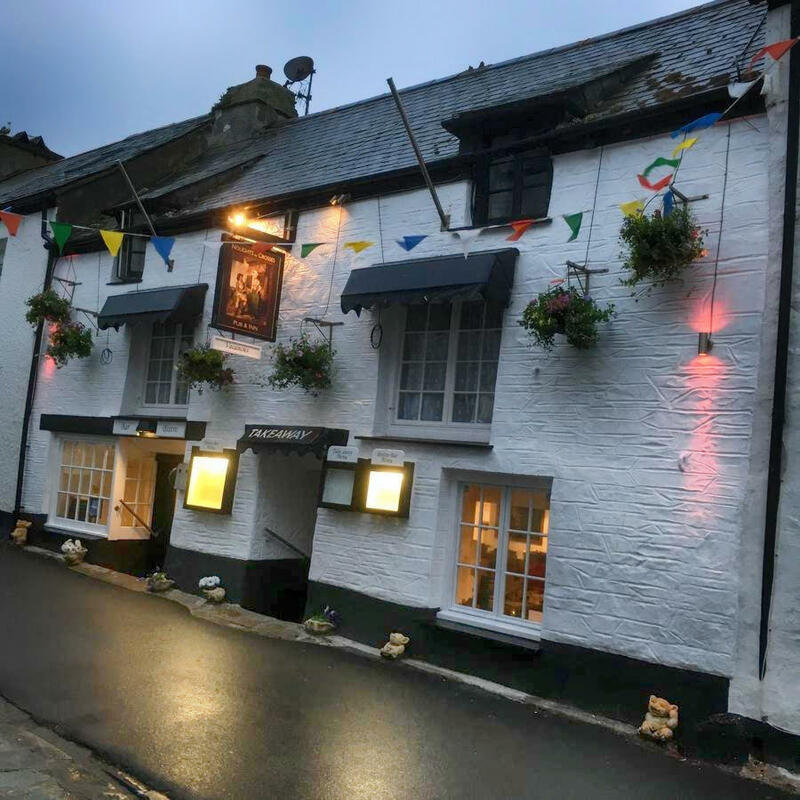 Destroyed by the Spanish raid on Cornwall in the Anglo-Spanish war of 1585-1604, the only building to survive any damage was a pub owned by local resident Jenkyn Keigwin who died from a cannonball shot while defending it. 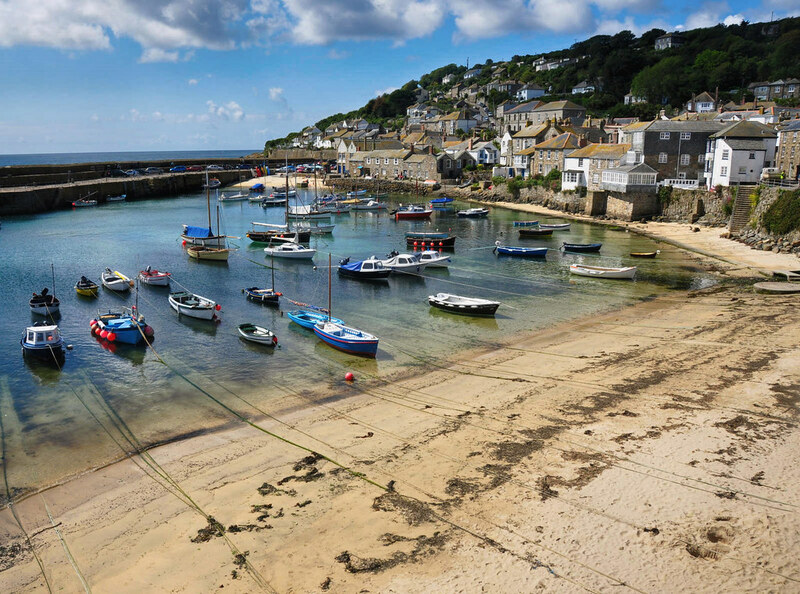 Ringed by lichened cottages and houses, the picturesque harbour reveals a sandy beach at low tide that’s popular with families. 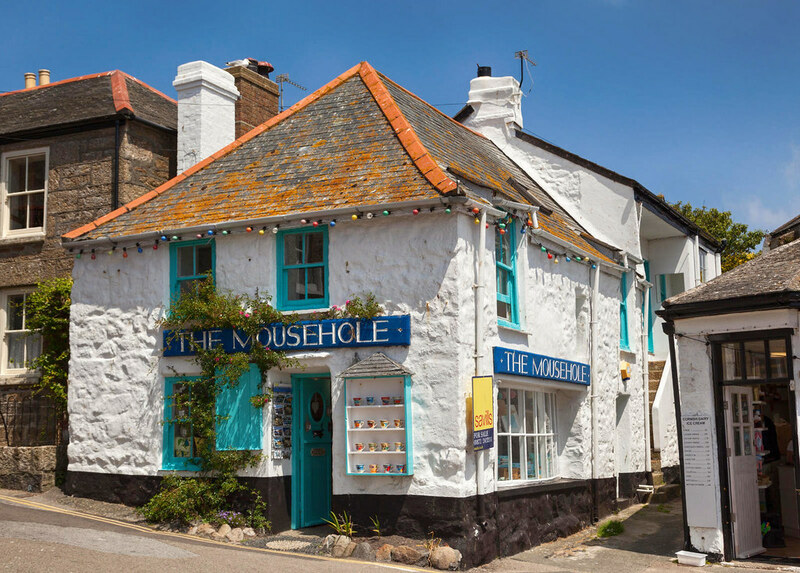 Reminding you of its delightful name and giving you another opportunity to practice how it’s pronounced, The Mousehole giftshop joins galleries, pubs, and restaurants along the harbour front. 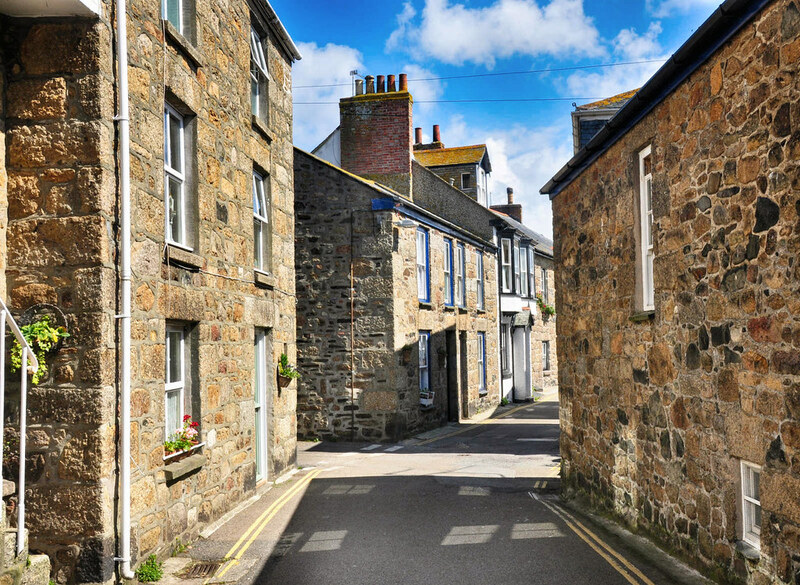 Click here to pan and zoom Google's Street View of Mousehole's tiny streets. 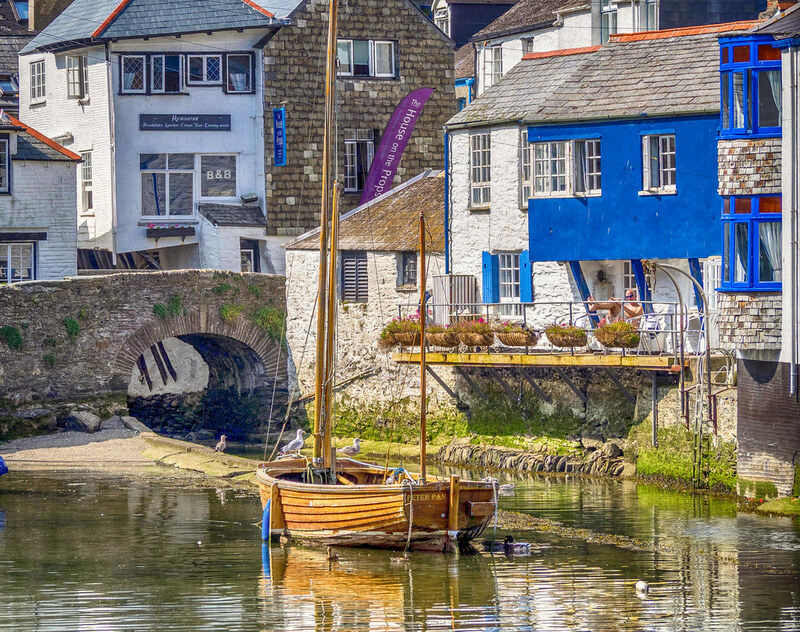 Over a thousand years old, the ancient town of Looe in south-east Cornwall straddles the Looe River. 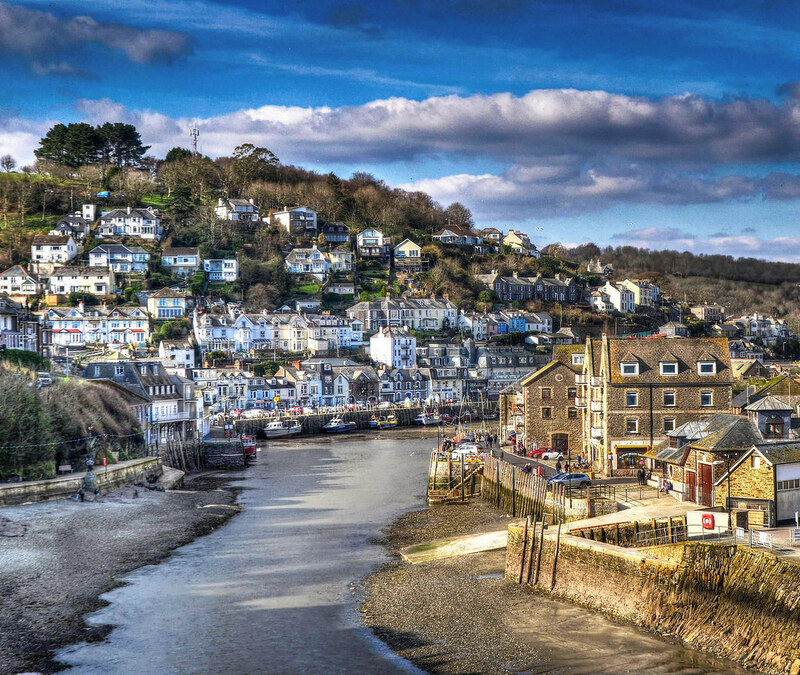 Situated on the east side of the river, East Looe has numerous narrow streets and lanes, one of which is Fore Street—the main thoroughfare—teeming with shops, bakeries, pubs, and restaurants. 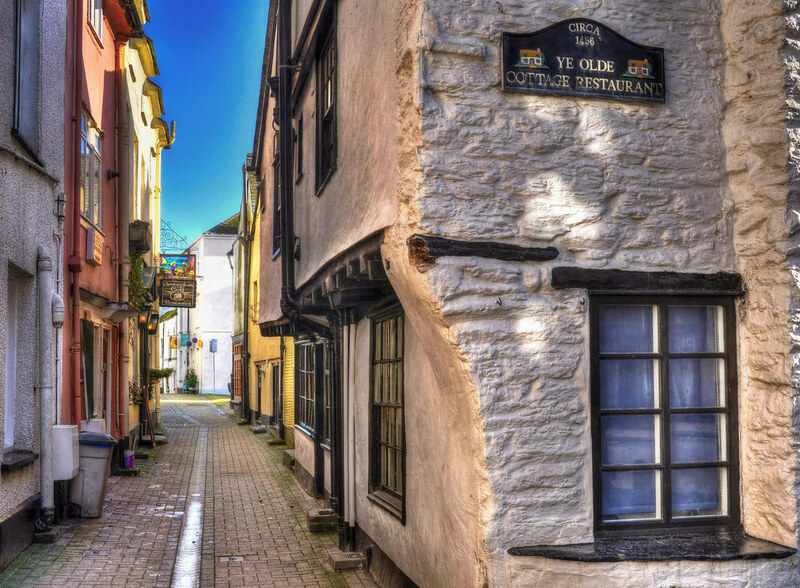 Formerly a 15th-century merchant’s house, the timber-framed and painted-stone “Ye Olde Cottage Restaurant” on the tiny alleyway of Middle Market Street features oak ceiling beams and an old oak fireplace lintel. 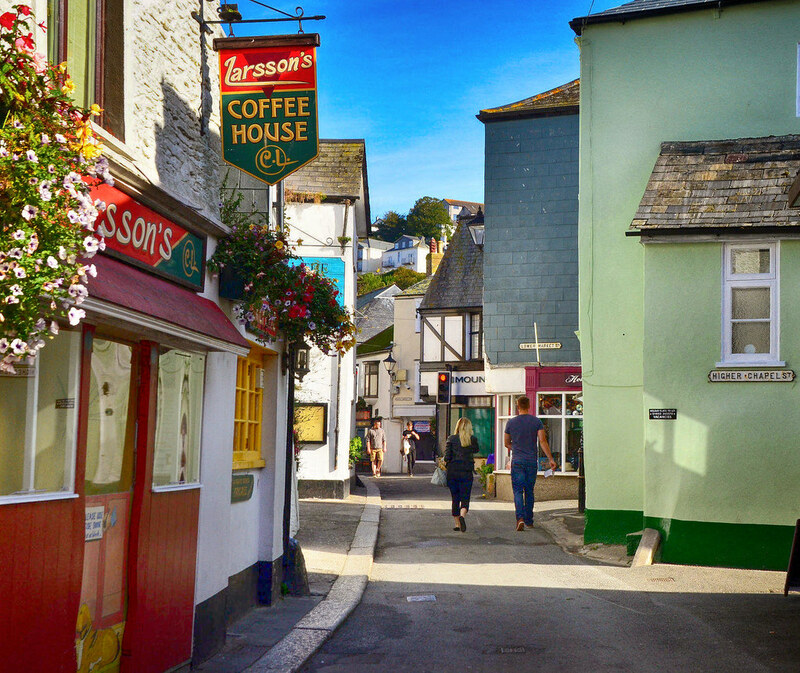 Only wide enough for single-file traffic, Buller Street joins Fore Street and both are dotted with coffeeshops, pubs, pasty shops, bakeries, and creperies. 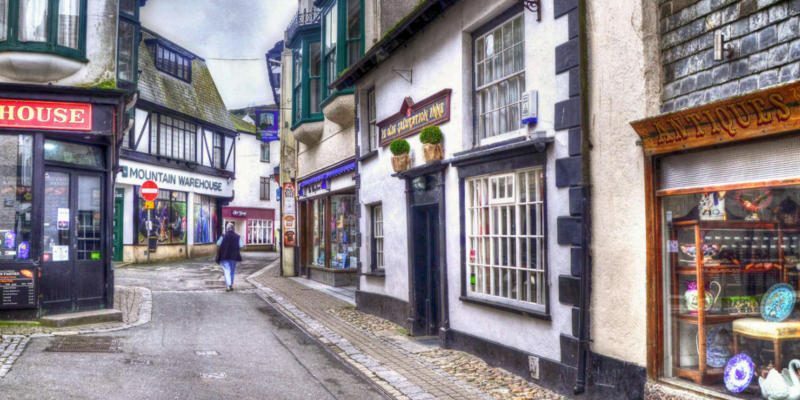 Click here to pan and zoom Google's Street View of East Looe's narrow streets. 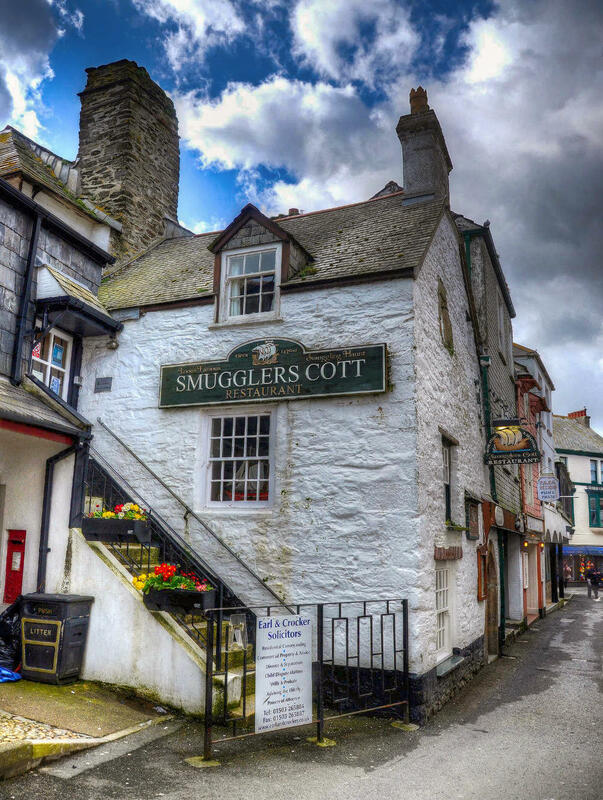 Originally built in 1420 and featuring salvaged oak timbers from a wrecked galleon of the Spanish Armada, the Smugglers Cott is said to have a tunnel leading to the quayside that was used by smugglers bringing their loot ashore. 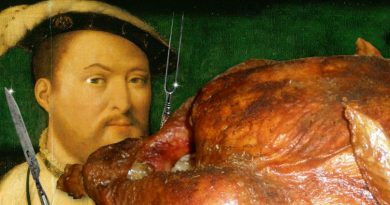 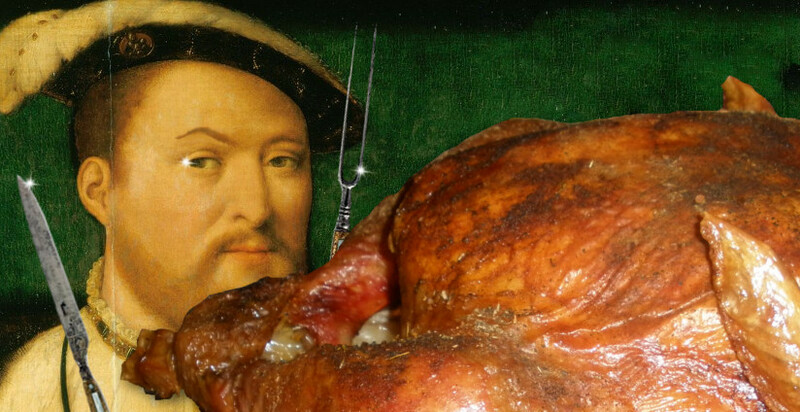 Now serving loot of the edible variety, the restaurant offers delicious local seafood, steaks, and rib roast carvery. 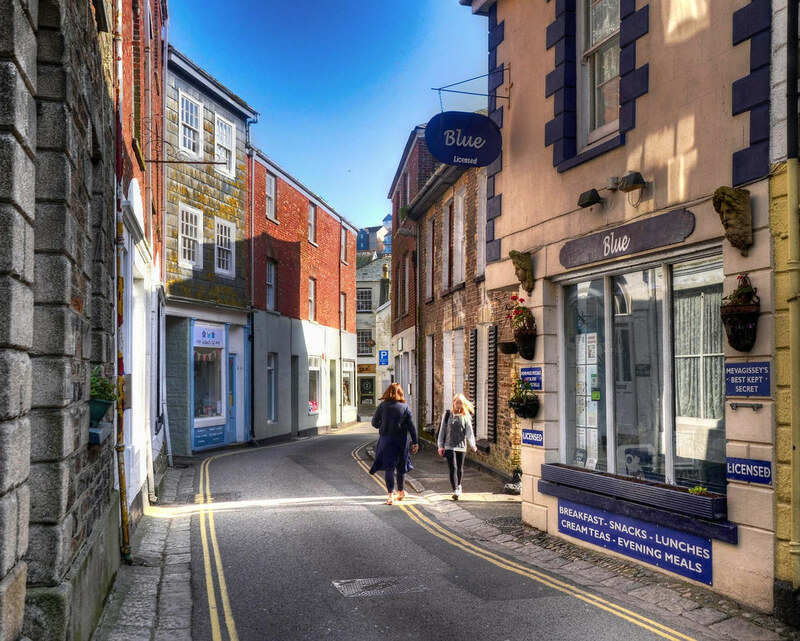 Just in case anyone is tempted to drive down such a narrow alleyway on Lower Chapel Street, the no-entry sign is a reminder that it’s not a good idea. 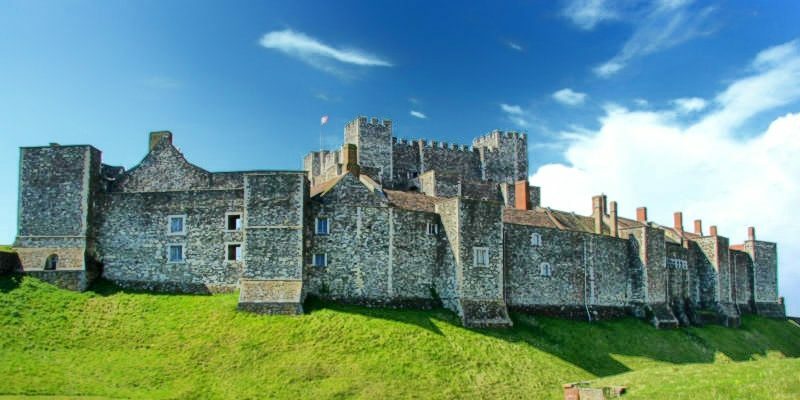 Upstairs or downstairs? 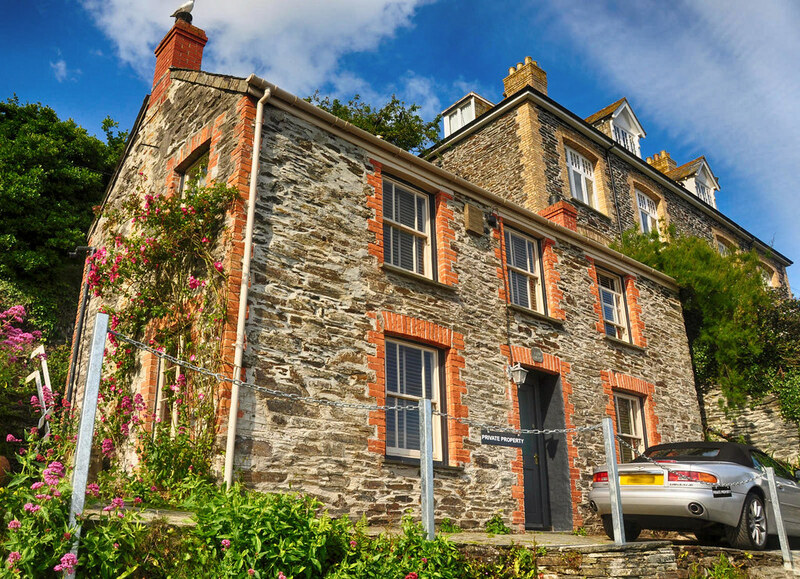 Many former fishermen’s cottages now offer holiday season lettings. 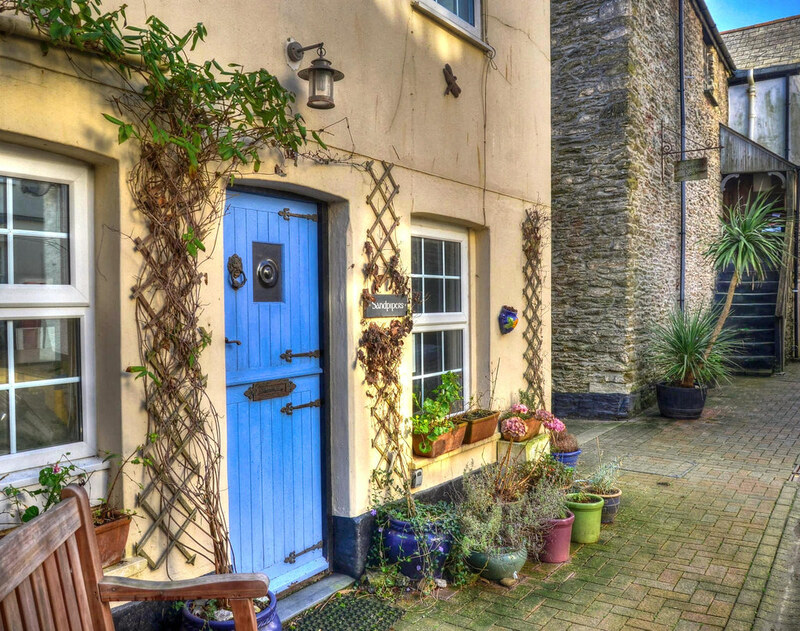 Set in a quiet traffic-free passageway a few yards from the harbour, Sandpipers is a 150-year-old former fisherman’s cottage, refurbished to offer comfortable accommodations. 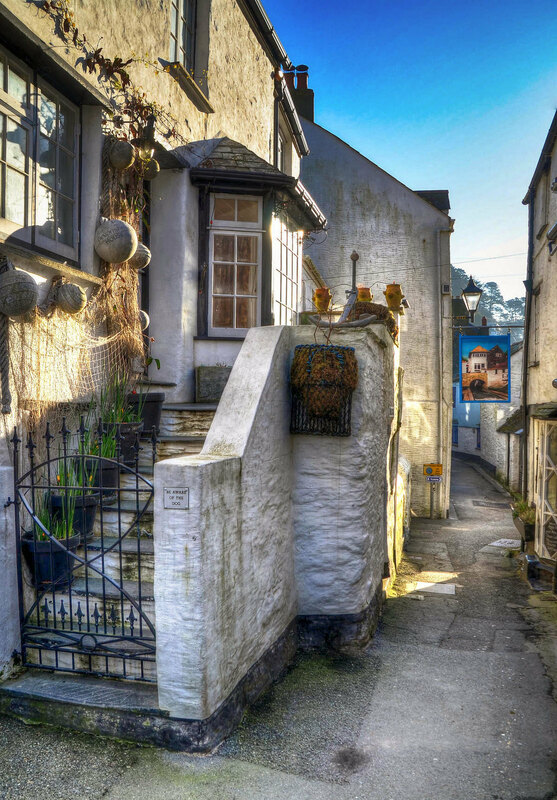 If Mevagissey‘s narrow streets were as busy as her little harbour, people might be stuck in traffic for hours! 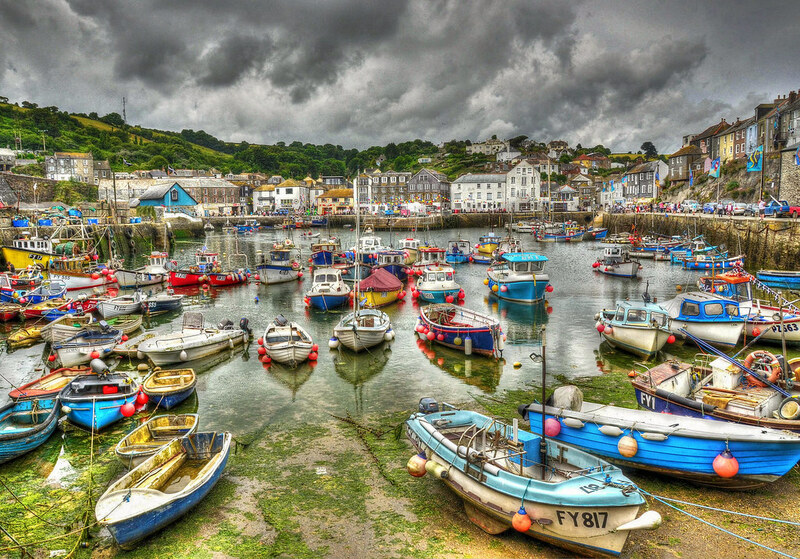 Nestled in a small valley, tourism may have supplanted a once thriving fishing industry but Mevagissey manages to maintain 63 working fishing boats alongside dozens of pleasure vessels. 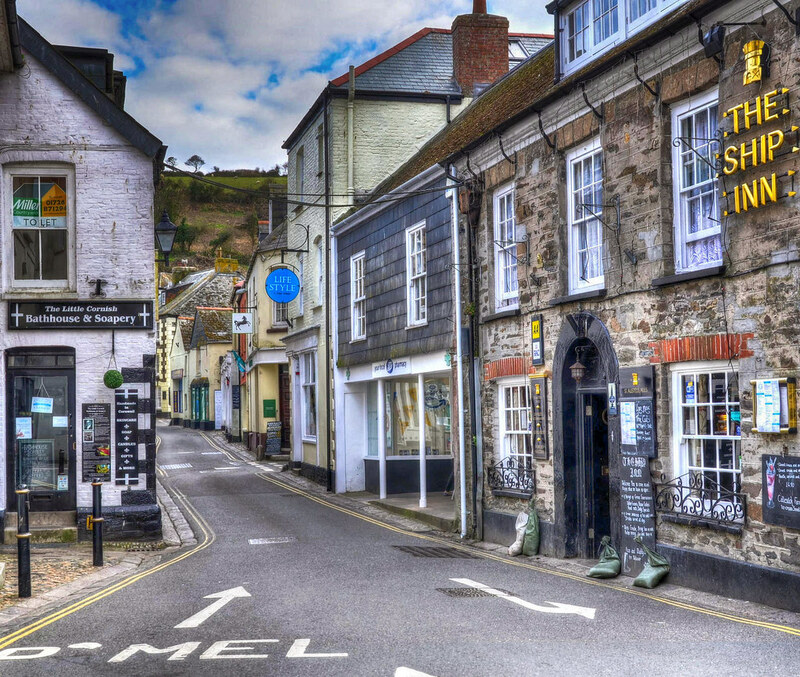 Rising up the steep slopes of the surrounding hillsides, the outer areas provide accomodations for local residents while the village centre is filled with eateries and shops aimed at tourists. 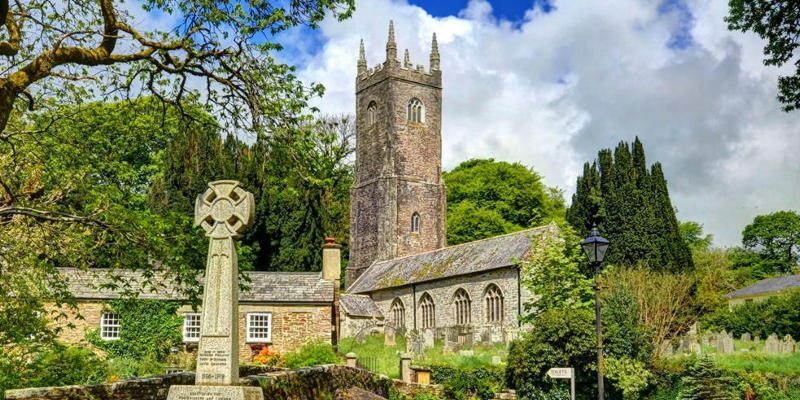 Named after two saints —St Mevan and St Issey—in the late 1600s, the village thrived on pilchard fishing and smuggling and there were at least 10 inns, of which the Fountain Inn and Ship Inn remain to this day. 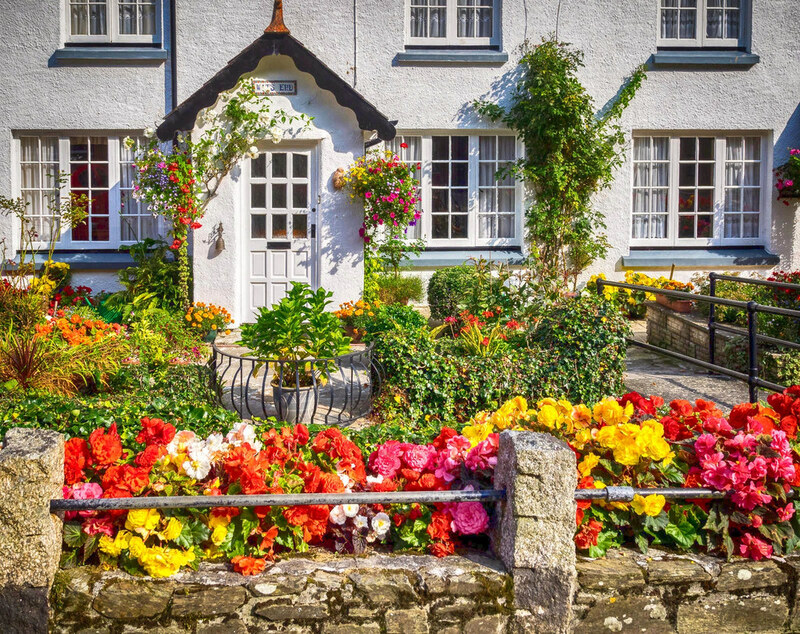 We hope you enjoyed a whirlwind tour of some of Cornwall’s narrow streets and feel inspired to visit one day in the not too distant future. 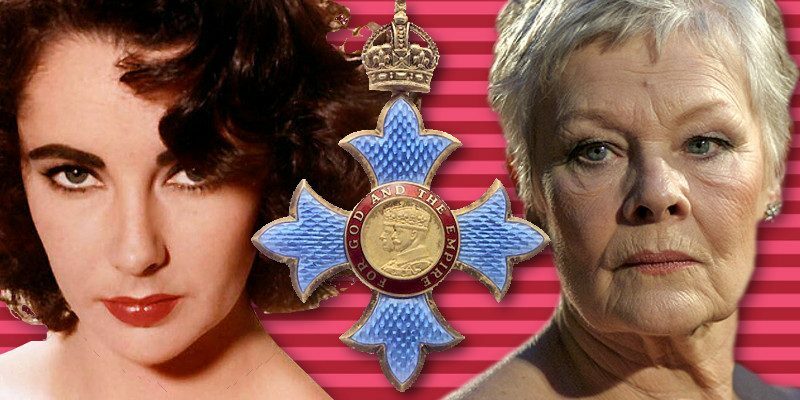 Britain and Britishness Copyright © 2017. 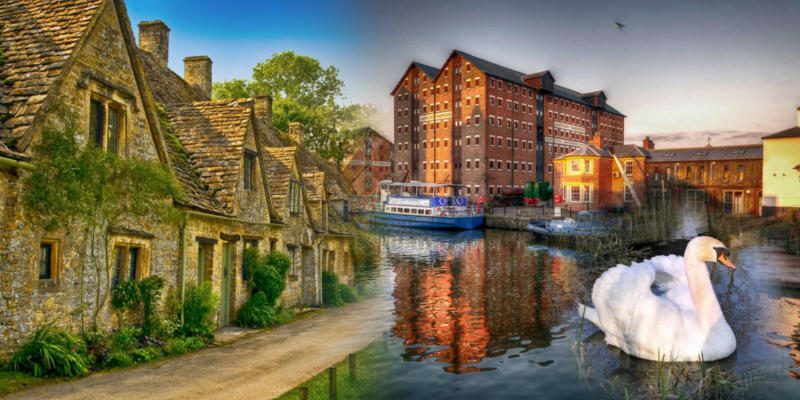 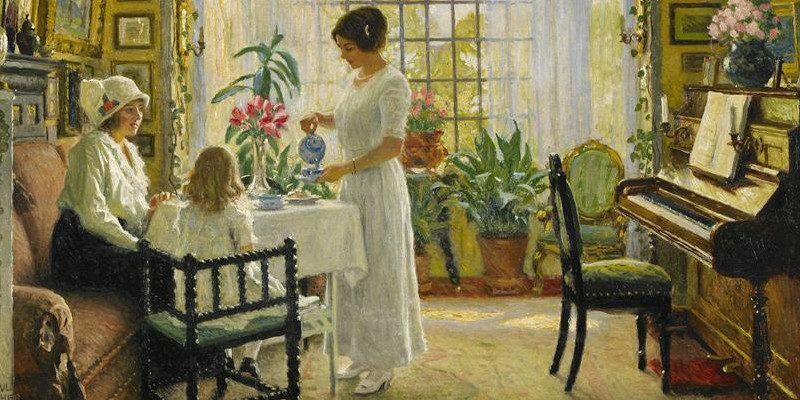 Britain and Britishness is a participant in the Amazon Services LLC Associates Program, an affiliate advertising program designed to provide a means for us to earn fees by linking to Amazon.com and affiliated sites.